Maine is more forested than any other state, with a rugged coastline longer than California's. There are so many places for birds to hide. Where you go depends on what you know. There are five puffin colonies along the Maine coast, each with a differing mix of sought-after birds, including Common Murres, Razorbills, Black Guillemots, Great Cormorants, and Roseate Terns. There are many secrets to birding Maine. Maine has the highest tides in America, which have an outsized effect on where and when to bird. Maine's seasons are of equal lengths. The best birding moves around by the month. 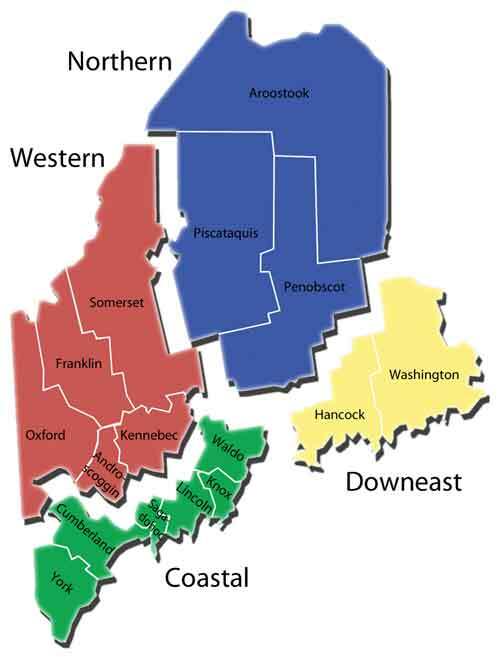 Maine is the most forested state in the nation. The Gulf of Maine is unusually frigid, enriching the food supply for puffins, seabirds, and whales. Maine lobster is world famous. There is adventure everywhere you look. Most of Maine's birds are relatively easy to find. But good accommodations, professional guides, insider links can make the difference between a pleasant walk and a birdy adventure. Plan the perfect Maine experience. The original Maine Birding Trail guides are still available. The guidebook contains additional sites not shown online, plus more maps, and bonus chapters on Canada's nearby Campobello and Grand Manan islands. A joint adventure of the Maine Birding Trail and Schoodic Institute. Forever Wild - Baxter State Park surrounds Mt. Katahdin, Maine's highest peak. Nearby, the West Branch of the Penobscot River tumbles out of the North Maine Woods. 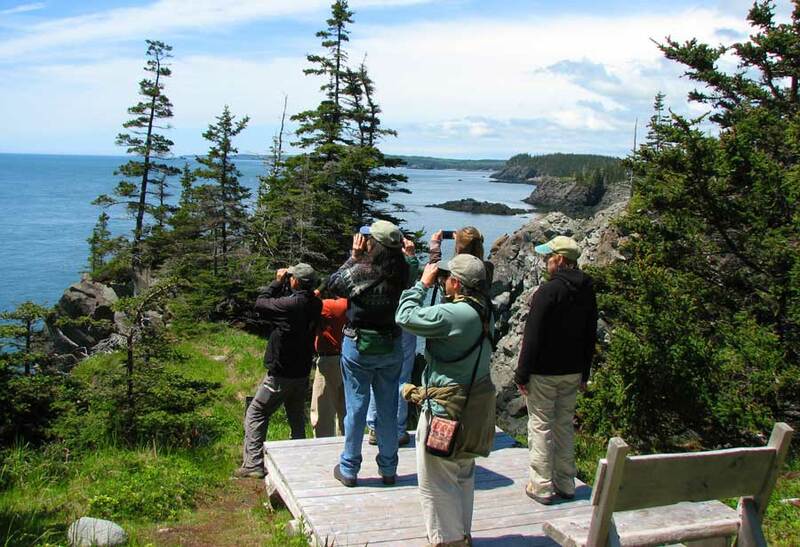 Spend the first half of the tour in the northern forest during the height of songbird singing, then move off to the northern portion of Acadia National Park and the downeast coast of Maine. These two 5-day, 4-night tours meet in Bangor and move immediately to The Maine Highlands to chase some of Maine's toughest birds, including American Three-toed and Black-backed Woodpeckers. Spruce Grouse and Boreal Chickadees also haunt this locale. Fox and Lincoln's Sparrows sing on their territories. Search for northern warblers, such as Blackpoll, Bay-breasted, Tennessee and Mourning, and northern flycatchers such as Alder, Least, Yellow-bellied and Olive-sided. Then, it's off to the coast for Atlantic puffins and seabirds. Read More.